An expression should be either integer or characters (We can write the expression as n/2…. also but the result should be integer). Option 1, Option 2…… are constants. Switch Case allows us to add default statement. 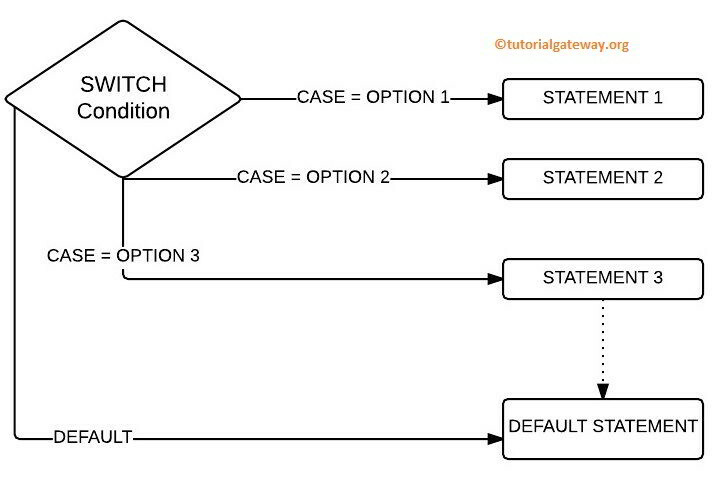 If the variable value is not matching with any of the case statement then the code present in the default will be executed. 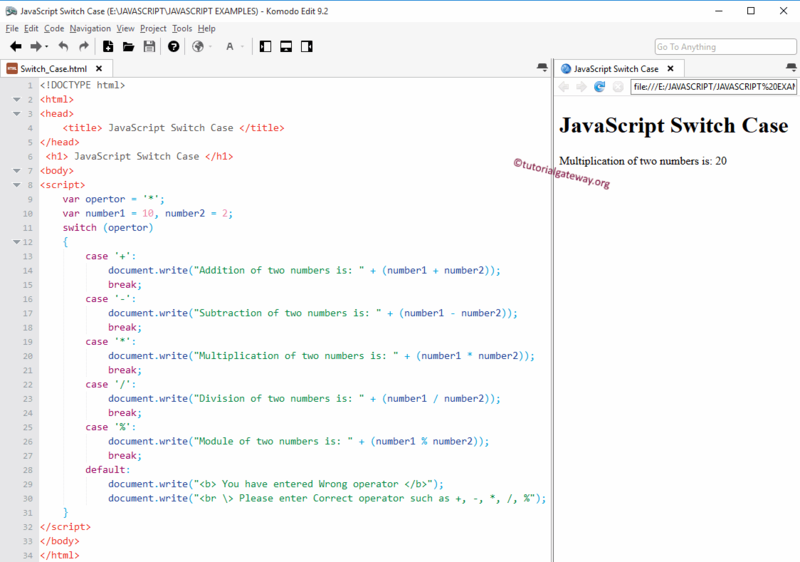 The Break statement is useful to come out from the switch statement otherwise, all the statements in the switch condition will be executed. Whenever a break is encountered, the execution flow would directly come out of the switch. OUTPUT 1: Here we assigned * as operator variable.